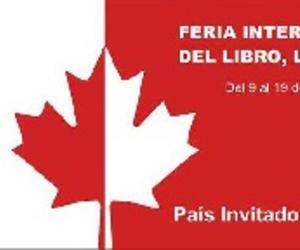 Canada has been chosen as guest country of honor at the Havana International Book Fair 2017, announced organizers on October 27, via the event Facebook page. Fifty years of the Canadian Confederation will also be celebrated during the fair. “Canada’s diversity and vibrant culture will be exhibited for all to enjoy, while participants will also have the opportunity to explore the country’s diversity and heritage, as well as celebrate the long-standing friendship between Cuba and Canada,” reads a message posted on the event Facebook page. Some of the country’s most famous authors include Emily Carr (1871-1945), whose work focuses on the indigenous cultures of that land, and feminist issues; as well as Margaret Laurence (1926-1987), on of the country’s top novelists. Meanwhile, the generation that broke onto the nation’s literary scene in the 1960s is one of the most significant, with names such as Michael Ondaatje, Leonard Cohen, Eli Mandel, Margaret Avison, and Margaret Atwood, whose works have been published in Cuba.